Here, once again, the poem with the fewest words somehow contains a number of interpretations – scorched by drought? by fire? a blade of grass or the blade of a combine? Thanks a lot, Katherine, for selecting my haiku. I really enjoyed the entire selection. thanks for sharing this, Monica! I’m delighted and honoured that my meadow haiku was selected for Charlotte Digregorio’s Writer’s Blog! Wonderful news! It is so rewarding to hear about new work being written as a result of this feature… and even more so as it makes its way out into the world! Oops. Quite a latecomer here. 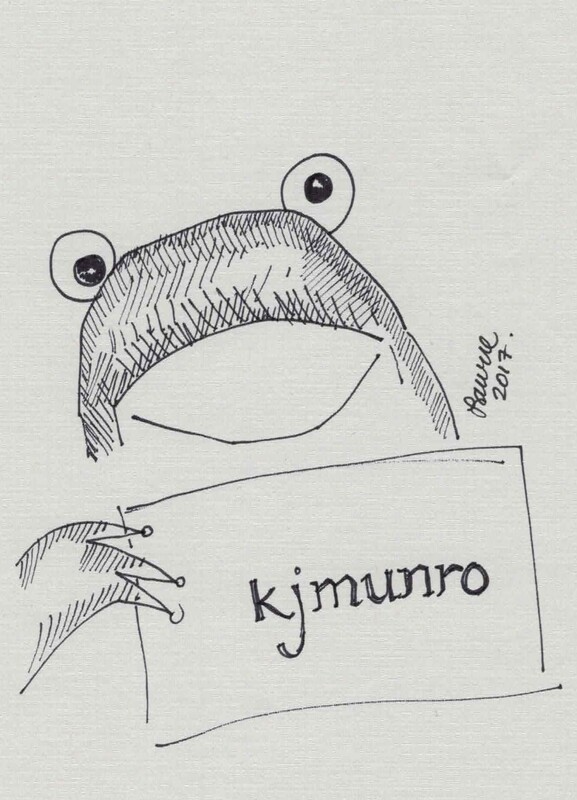 Thank you kjmunro for your comment on my haiku. It was a great delight to find my piece up there just like the sheep i found blending into the clouds. my pleasure Adjei! thanks so much for your comments here, & for submitting! I thought these two are stunning! Thanks Kj for this wonderful selection.It Is an honor to be part of It. Congratulations from Argentina to al the haijin. thanks so much for sharing this, Lisa! Particularly glad to have this weekly comfort right now. Hurricane Florence put a hurting on us here in North Carolina. My eyes are heavy with sights of storm damage. Having ridden out this storm, I have renewed love for small, everyday joys. Thank you kj for including me. Simplicity and acute awareness of time’s passage. 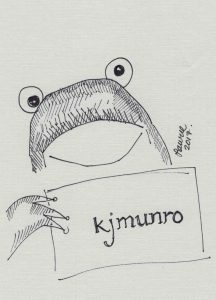 Thank you, dear KJ, for selecting another one of my poems. I have enjoyed the selection and am proud and excited to be a part of it. thanks for sharing this, Tsanka! thanks for submitting! Thank you much for including my meadow haiku among these, Kathy! And I love all the comments as well from everyone. They really encourage me to read deeper. wonderful to hear this, Sari – & thanks for submitting! Thank you KJ for including mine in your selection! Enjoyed reading each of them. I enjoyed reading this week’s selection and the comments. Wonderful! Another good collection, thank you for selecting mine. Every week the commentary is so educational and motivational. Thanks to every poet and to Kathy and Alan for this opportunity to share. I am so honored to be included. It’s purely Kathy’s doing, I just get inspired to comment on what she has brought us. Alan & Pat – thanks so much to you both for this! Thanks for publishing mine Kathy! Really enjoyed the selection this week. Just wanted to add a reference for my haiku…it was written after William J Higginson’s well-known haiku ‘I look up/from writing/to daylight’ in Haiku in English: The First Hundred Years, Eds J Kacian et al. 2013, p43). Thank-you Kathy for publishing one of mine. I enjoyed this nice haiku from a six-year old child. wonderful! thanks for sharing this Valentina! I guess both knowing Helen’s work in general really well, and the violent history of Britain I could see it might mean both weapons as well as farming implements. After all, some farming equipment was used in warfare where people didn’t have the money to purchase swords I guess. & thanks for promoting poetry, Alan! thanks for sharing this Margaret! your haiku speaks to me; thank you! it stands out among the many quality haiku / selected submissions. Blown away by some of these ku! Love the vivid imagery. I am grateful to be included as well. Thank you  KJ! As I’ve said before, I couldn’t do it without you poets – thank you for submitting! & for your comments, Margo! So happy to be included! Thanks, Kathy! for this. Again going through all –  wondering,  how best   I can improve. Great to see more of the Bellingham poets here Victor! What is an insult in one language is the reverse in another language and culture. Native American Indians GUIDES & BRAVES lists ‘Running Dog’. And I published a haibun called Running Dog which was a part ekphrastic response to the famous Apple Chase artwork. Yes, Victor is a wonderful addition to our Bellingham Haiku Group. We have initiated a monthly ginko to our meeting with Victor’s encouragement. I also loved Victor’s haiku—it is so visual—and I’ve been walking many dogs lately in ‘off leash’ parks where they can run creating mischief and opportunity. Thank you Alan! I think the one I saw was a Barn Swallow out at Discovery Park in Seattle, WA. Always happy to learn the names of new birds like the Welcome Swallow in areas of the world that are new to me! And since I am new to Bellingham, I’m learning about so many  birds in the PNW that are unfamiliar to me. Love that image of the River Kingfisher! thanks Alan, Mark, John & Victor for your comments here! In Sri Lanka, along the mangroves by the eco-lodge hotel complex, I saw almost every single kind of kingfisher, in a special tour for just myself and Karen. It was awesome to see a proliferation of kingfishers, both river and mountain ones. I particularly liked the bold double meaning in line 3 of Charles Harmon’s poignant ‘fields of Normandy’, as well as Giovanna Restuccia’s possibly profound ‘Po Valley’, and Radostina Dragostinova’s moving ‘dandelions meadow’. And these weren’t even the elegant ones …. On the other hand, these are elegantly executed haiku in their own way. Always amazes me that there are at least 400 different types of dandelion. Agreed. I don’t think haiku have to be beautiful or elegant. thanks, as always, for submitting, Mark! Thanks for another great set, Katherine, and for picking mine out again to comment upon. Alan – your final interpretation is right on the money. I was hoping I was wrong, as in looking up scorched earth policies, we really copied the Roman Republic etc… and did horrible things to both the Irish and those in South Africa, to name but two nations. May I include it in my monoku feature? Scorched earth is now up! Yes, I felt you may have been saying that unfortunately we can achieve much more havoc nowadays without the use of shiny blades … but it also applies to modern agricultural practices …. & thanks for your comments Mark & Alan! Having lived in Australia, in the Queensland state, the verse could be about backburning by agriculatural practice; or carelessness or arson. I don’t know of the author’s intent, only that for me, there is a chilling pun that there are no blades of grass and also no blade type weapons, as the destruction to land and people has been fully accomplished. Love your take (explanation) on this, Alan. The scorched earth policy is still used today…past and present colliding in an excellent ‘ku. Thanks, Kathy, for another thought-provoking collection. I appreciate being a part of this column. “don’t know of the author’s intent, only that for me, there is a chilling pun that there are no blades of grass and also no blade type weapons, as the destruction to land and people has been fully accomplished”. here is my opinion, almost similar. all extreme steps- what to do. If the majority of people on this planet simply worked together, there would be plenty of water and food, and shelter, and safety, from the corporations and politicians who manipulate us mercilessly. Thank you for your comment, we are such a contradictory human race alas. Such a wonderful array of poems, congratulations to you all. A marvellous selection, Kathy. What a brilliant comments about the scorched earth, Alan. I certainly agree with your above comment. I agree, Alan – what an amazing thread of comments here – I am impressed with all the places that just one little gem of a poem can take us… & every week there are so many gems!